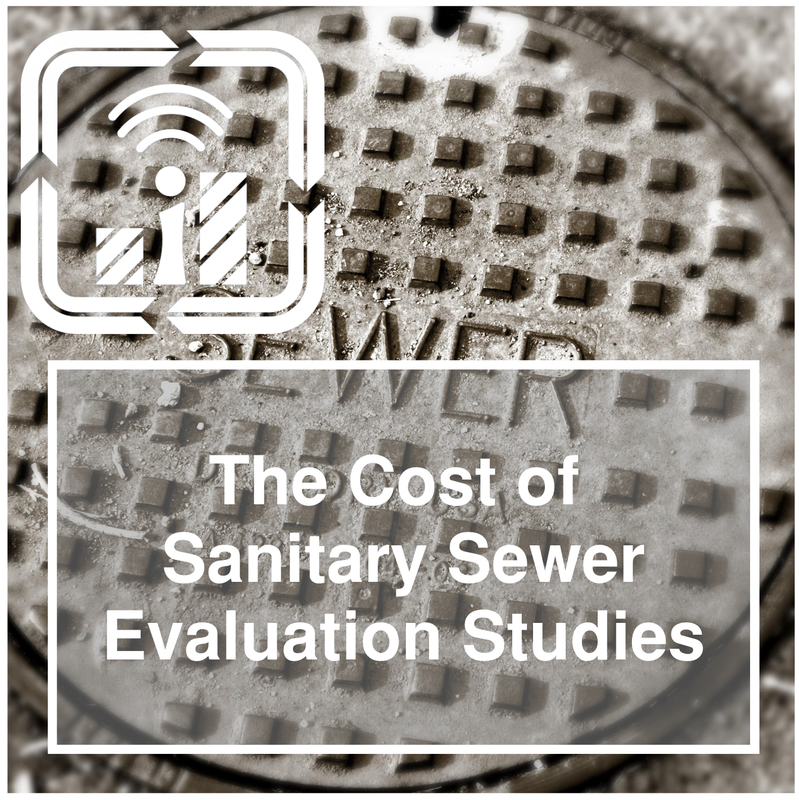 A sanitary sewer evaluation study (SSES) scope may include a range of work items. The work items or scope of any particular SSES depends on prior work, specific objectives, and budget. The budget for any particular SSES scope may be estimated using industry standard costs related to leasing meters, the performance of video inspection, system assessment, and rehabilitation planning. MG2A has prepared this white paper to present industry standard costs and suggest the SSES scope that may be achieved based on a $200,000 budget. Costs can vary quite a bit. However, the values and scope presented here are suitable for setting SSES scope expectations. The example scope below suggests 45,000 feet of a typical system could be inspected for $125,000. Actual bids might result in $125,000 affording only 40,000 feet or as much as 50,000 feet of inspection but not 100,000 feet. Similarly, $30,000 might afford a community with a study utilizing 10 flow meters but not 20 flow meters. What might a $200,000 Sanitary Sewer Evaluation Study budget achieve? Sanitary sewer evaluation studies often engage the use of meters to measure sewage collection system flows during dry and wet weather conditions. These flows may be used to measure infiltration and inflow and provide a general indication of the system’s condition at various locations. Meters with telemetry may cost between $1,500 to $2,000 per month to lease. Meter installation typically requires two people with confined entry training. This results in installation fees in the neighborhood of $2,200 a day. It is reasonable to expect a crew of two people to install two or three meters in a day. Using a lease period of two months with one service call per month results in a budgetary value of $5,000 per meter. Actual costs may be less; however metering wet weather flow may require a laser flow system as opposed to a less expensive area velocity flow module meter. Metering lease costs do not include engineering planning or analysis. However, with telemetry, the data may be automatically transmitted and collected by the engineer. A contractor provided MG2A with a budgetary price of $250,000 (Spring 2015) to complete a video inspection and report conditions using NASSCO specifications. The budget was for 13.5 miles of a fairly typical sewage collection system with 8-inch diameter mains comprising 75% of the piping. The remaining mains sizes ranged from 10 to 18-inches in diameter. The contractor’s budget works out to about $3.50 per foot of main inspected and assessed. A typical suburban town of 20,000 people may have 100 miles (528,000 feet) of sanitary sewer main. Pipe lining is not typically a sanitary sewer evaluation study work item. However, the rehabilitation planning scope of an SSES often includes a schedule to line, coat, and seal a part or all of the sanitary sewer collection system. It is important to consider these costs and a realistic annual rehabilitation budget when defining the scope of an SSES. The scope and cost of the SSES should be in balance with moneys available for system improvements. Pipe lining cost varies by job size, pipe condition and pipe diameter. A budgetary cost of $25 per foot may be reasonable for a project of 10,000 feet or more in a typical suburban town. Manhole coating cost varies depending on depth. A reasonable budgetary cost for coating a 4-foot diameter manhole that is 4-foot-deep is $1,500 and 6-foot-deep is $2,500. The cost of sealing lateral connections at the main may be about $1,400. The typical cost of sealing laterals from the main to the home may be about $2,000. In order to compute a sewer rehabilitation budget value, the cost of repairing services and manholes should be included. Budgeting may be simplified by averaging manhole coating and service sealing in to an equivalent cost per linear foot of pipe lined. For example, a suburban system might have four manholes and ten to twenty services per thousand feet of sewer main. If on average, two of the four manholes need coating and three of the services need sealing, a budgetary cost of about $35 per foot sewer collection system rehabilitated by lining may be reasonable.